Singapore’s Straits Times Index will break out of its 3400-3500 tightening consolidation in the next one to two months, DBS said in a note on Tuesday. But the direction of the breakout will depend on two factors, DBS said: How the U.S.-China trade tensions unfold and the first-quarter earnings season and revisions. DBS is sticking with a base-case assumption of an end-year STI target of 3715. The STI was down 0.53 percent at 3394.05 at 12:10 P.M. SGT on Wednesday. DBS also pointed to the need to hedge against inflation, partly as trade tariffs will drive up goods’ prices and as the U.S. Federal Reserve is turning more hawkish. “Hard assets are inflation hedges and stocks/ETFs related to these should benefit as inflationary pressure picks up,” it said. It said those picks would be Gold, via the Gold USD ETF, and oil as it would be positive for rigbuilders Keppel, Sembcorp Industries and Sembcorp Marine. For commodities and farmland plays, DBS tipped Lyxor Commodity USD ETF, Lyxor CRB Ex-Energy USD ETF, Olam, Wilmar, Bumitama and First Resources. 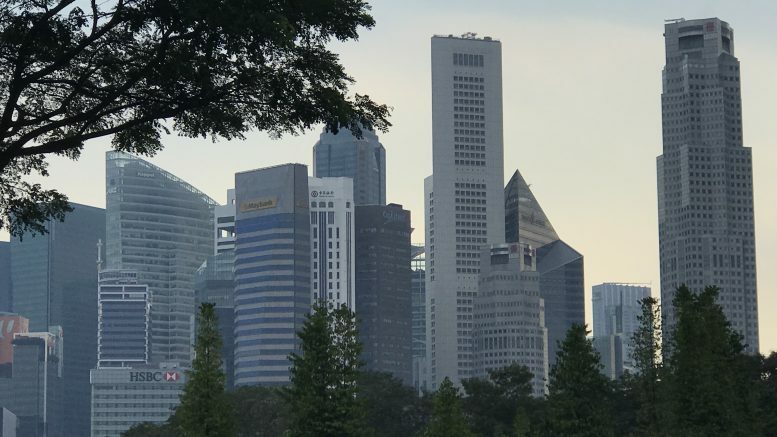 Among other hard assets, DBS tipped commercial and residential property plays, such as City Developments, UOL, Roxy Pacific, CapitaLand and Hong Fok.